Plague is the fourth book in Michael Grant's FAYZ series. 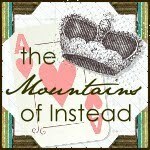 This review contains slight spoilers for the previous three books. Consider yourselves warned. Life in the FAYZ is not getting any easier. In fact, for all involved it’s getting a hell of a lot worse. Having survived the initial shock over the mass disappearance of all adults, the kids of Perdido Beach have gone on to weather cumulative (and seemingly endless) storms. From mutated animals (not to mention mutated humans), starvation, mutiny and megalomania to zombies, cults and cannibalism, things could have gone better. In this latest instalment, illness rears its ugly head with a mutating flu virus dropping kids like flies while elsewhere deadly insects start to emerge from, you guessed it, children. All the while it becomes increasingly clear that the entire shebang rests in the hands of one comatose autistic child and the dark, alien being known only as the Gaiaphage. The cast of characters in Michael Grant’s series has been expanded slowly and carefully over the course of the previous novels with the result that he is now able to use multiple viewpoints through which to narrate the horrors of the FAYZ. 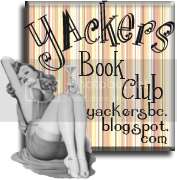 During the course of the book he skips not only between the usual suspects (Sam, Astrid, Caine, Diana) but also views events through the eyes of Edilio, Albert, Brianna, Taylor, Dekka and Computer Jack, among others. This narrative structure works beautifully, particularly when he returns to the recurring themes of leadership and rebellion. Sam, believing he has completely removed himself from the leadership structure has been wondering around somewhat aimlessly, used mainly as a law-keeping force. He and Astrid are struggling with their disintegrating relationship and it’s all somewhat depressing. Over the course of Plague, he slowly moves back to the top of the pecking order – if somewhat unwillingly. He remains a likeable character, bearing the brunt of some very adult decision making with believable strain and resignation. Astrid is also struggling with some difficult decisions, particularly in regard to both Sam and her autistic brother, Pete. Sadly, Astrid is nowhere near as likeable as Sam and often comes across as sanctimonious, hypocritical and sniping. Her saving grace in Plague is that she comes to truly know herself and spends much of the book over-whelmed by self loathing. It’s doesn’t make for particularly cheery reading, but garners hope for Astrid’s character development further down the line. Other characters remain no less fascinating. Albert continues to build his business empire with dedication, nous and a degree of greed. He has always been particularly interesting in his ability to see what is required in an incredibly adult way and he continues to stand by his central ideology that hard work and a structured society are the only way that the community will survive… and if he happens to benefit from this then all the better. Dekka continues to emerge as a stand-out character and her friendship with Sam is often extremely touching in a series where few true friendships have survived. Computer Jack is another character who continues to grow and there is the delightful addition of Truth Teller Toto who is both useful and adds some necessary, if bleak, levity to the story. However, by far the most compelling characters continue to be Caine and Diana. These two are fascinating to read and their relationship paradoxically confounds and yet makes perfect sense. Caine, in particular, becomes somewhat clearer in this instalment. Due to one particularly interesting development, I suspect that these two are about to take centre stage in FAYZ life. 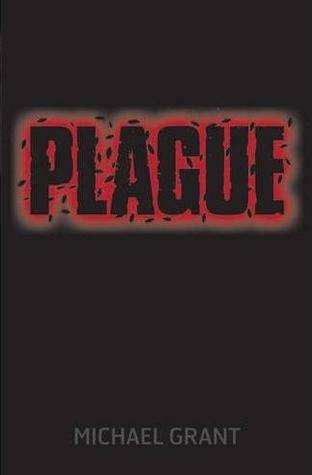 Plot wise, Plague follows the same basic structure as the previous books in the series. The kids are faced with a new, horrific challenge to overcome while continuing to deal with the basics of survival and the threat of the Gaiaphage and its minions. While this all works just as successfully as previously, the duel challenge of both killer flu and killer, er, cockroaches seemed to be somewhat over egging the pudding. The narrative would have been equally successful had Grant focussed on just one new horror. The flu virus is particularly nasty and certainly had this reader feeling quite squeamish at times (a real feat) – it would have been nice to have seen this focussed on in favour of the more obvious thrill of bug battles. Grant has successfully built up an entire world inside the FAYZ and no aspect that has been added over the course of the series has been entirely resolved nor forgotten. Rather, they have combined into one deliciously hellish mess, all overseen by a group of children who are rapidly turning into the kind of adults that most adults wish to avoid. Michael Grant pulls no punches with his writing – there is gore, violence and extreme cruelty on almost every page, combined with deep depression, existentialist worry and exasipated teenage angst. No character is entirely loveable, no situation entirely clear and no end in sight, with two further books in store before the inhabitants of the FAYZ find out their fate. I’ll certainly be along for the ride and recommend that those of you who have yet to try this series give it a go. It’s not great literary fiction and nor is it intended to be but it is a dark and clever take on humanity under a bubble. I need to read this so badly. I agree this is a dark and clever take on humanity when confined - all the characters are so compelling (even Astrid who annoys me to no end). I'm glad you liked it - I can't wait to read it myself. Thanks for the great review!